Based on this trailer, SOMA could well end up a runaway favourite for horror fans and shrieking Let's Players alike. It's Frictional's sci-fi follow-up to Amnesia, and it's due out later this year, on September 22. 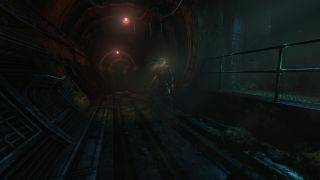 Luckily, you won't have to wait until September to get more information on this atmospheric adventure. Frictional will be a guest at our E3 show, which takes place on June 16 at 6pm PDT. For more on SOMA, check out Sam's hands-on impressions.